Copyright © 2015 OneThreeOneFour, All rights Reserved. OneThreeOneFour is a global wedding photography service provider. From vacation to overseas pre-weddings photoshoots to documenting destination weddings, we immortalise all the precious moments of every couple’s relationship journey. For our brides-to-be who are also fans of Korean romance comedy, Strong Woman Do Bong Soon (大力女都奉顺), we’re here to share with you the wedding photos of Do Bong Soon acted by Park Bo Young (朴宝英) and Ahn Min Hyuk acted by Park Hyung Sik ( 朴炯植) in the final episode of the Korean TV drama. 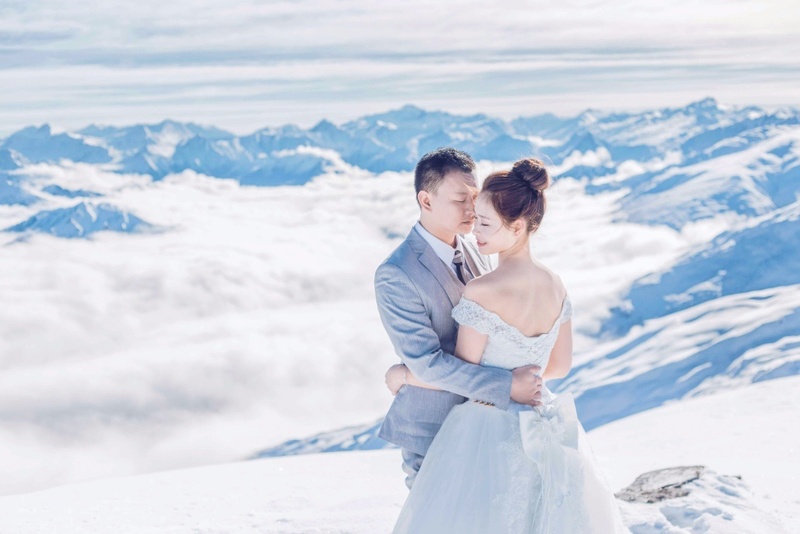 Here are photos of the sweet couple, Minh Minh and Bong Bong , tying the knot at a wedding hall! And we love this sweet behind-the-scene photo of Park Bo Young in this gorgeous wedding dress. Her high-low dress is like that perfect match-made between a mini dress with a long-train dress. You can bare your pretty legs and yet look formal. In fact, the dress she wore is from our partnered wedding gown boutique – Belle Epoque! Below are more samples of Belle Epoque’s wedding dress. 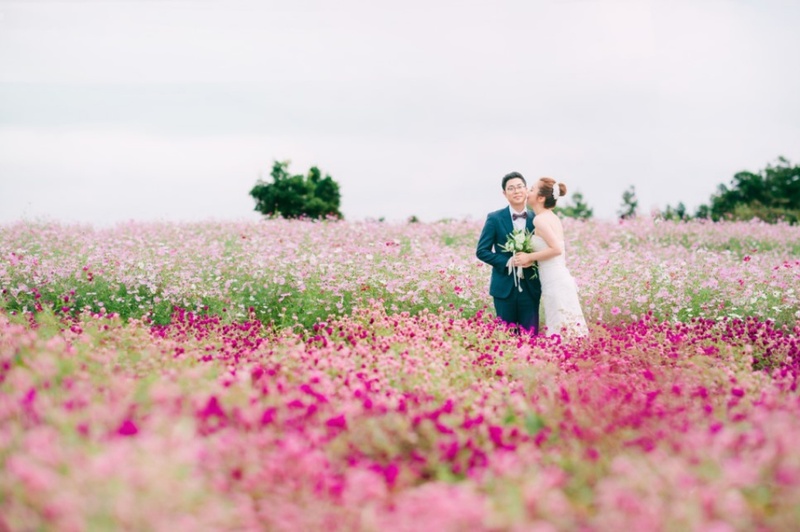 OneThreeOneFour offers premium Korean wedding photography packages. Choose from over 20 wedding photography studios and wedding gown boutiques and bridal and makeup salons based on your preference! 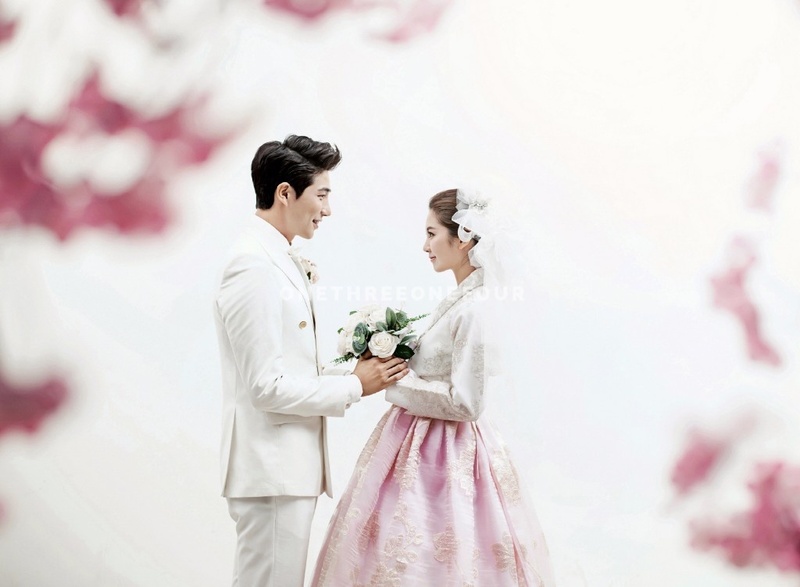 Head on over to our Korean wedding photography page to see the prices. Send us an email to check if your preferred photoshoot date is available. We have helped couples from US, Canada, Hong Kong, Singapore and Indonesia complete their Korea wedding photoshoot! Our latest review features Meeri and Andrew. The couple from United States was travelling to Seoul a few months after their wedding. We’re fans of Do Bong Soon and these photos of Park Bo Young and Park Hyung Sik in their wedding attire is driving us crazy! We hope their wedding have given you some inspirations for your wedding! 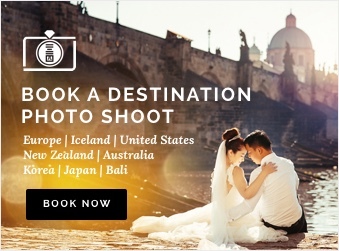 Book your wedding photoshoot anywhere in the world.